I think it's safe to say that we've all been in the position where we feel like NOTHING has gotten done in a day... It happens to me way more than I would ever like to admit and I'm not sure why I lose my motivation so much but it's always at the worst times! Whether it leads to scrolling through Instagram posts from two days ago, watching three hours worth of Bravo television or playing dozens of games worth of 1010 (my early morning/late night addiction...); realizing it's 9 PM and you've gotten nothing productive done all day is not a good feeling. I tend to have a ton of random notes in my phone with unorganized lists of things I have to remember to do and honestly, these notes just make me forget even more than I would have. Make lists upon lists - the more organized you are the better off you'll be. I think writing things down even in the age of technology is still the best way to remember things and to get things accomplished. Less stress, too! Set a certain amount of time for things that you can get done - cleaning a room, organizing a drawer, writing a blog post, sending an email, whatever it may be; if you press yourself for time, you'll likely get it done ON time and in enough time to still recover from a not so great day. We all have these days and instead of dwelling on the time you lost to get things done, spend the time you do have left in the day to accomplish smaller things. Clean up your desk or do some meal planning - you'll feel better! Instead of stressing out worrying about how much you now have to do, figure out how to get into the zone you need to be in to be super productive. Everyone works differently - for example, my sister studies best with music, while I have to be in silence. Figure out what's going to work best for yourself and set your deadlines. While days that are unproductive can be frustrating, take the time to realize what you did do that day that was fun! I think everyone needs a "chill" day here and there, so don't add it to the stress list if it happens to you. ; ) After all, none of us are perfect and these things are bound to happen! These are all great tips. I normally keep my days fairly productive, but if there's ever a day when it goes downhill, I just chalk it up to a rest day and roll with it. Thanks so much for sharing this. I've been feeling kind of un-motivated so I've had quite a few unproductive days. I'll definitely be utilizing these tips. Such great tips to turn your day around! These are great tips! I love the to-do list and time yourself. I like to be efficient and timing myself is a great way to stay efficient! Thanks! It's so easy to get stuck in a downward spiral. Great tips to be resilient! What great tips and I'm ready to become more productive. I've been slacking while the kids have been out of school so I'm going to need motivation to get back into the swing of things. These are such great tips! I'm in the process of moving, and it's so easy to get overwhelmed with all of the "to-do's", so this was very helpful! Loved this post! Sometimes I get so hard on myself after an unproductive day but I definitely think that planning my next day, writing lists and tackling small projects first really helps. Such great tips! I definitely needed these after today. Love this! So many people struggle with productivity so this post is extremely helpful. I definitely have those days... then feel so guilty afterwards. 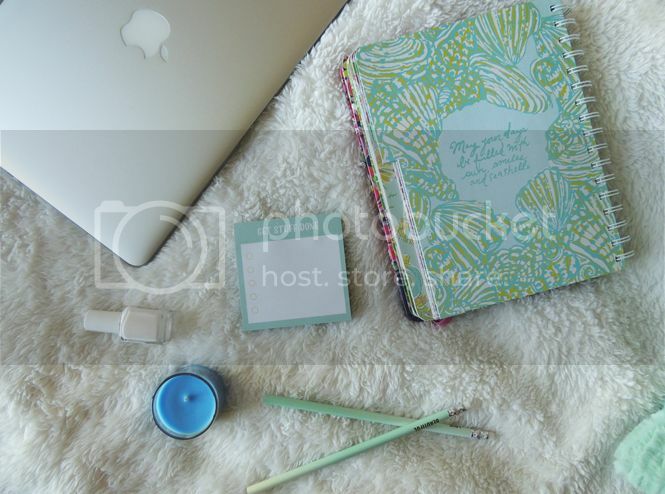 Love these tips- I can definitely say that crating a to-do list helps, at least for me! Great tips! I know how frustrating it can be when you have an unproductive day. My key is to stay positive and finish what you started. How did you know I need these tips this week? I really n eed to get back to a do list again, it really helps to focus on what needs to be done. Timing myself is always so motivating! It makes me work quickly especially when it comes to house chores! These are some really great tips. I know how frustrated I am after I get nothing done. At the end of the day, I always assess what I Have accomplished and if I didn't do much, I get disappointed. Having a to-di list really helps me. Great tips. This post is just what I needed!! Sometimes I feel so unproductive and then at the end of the day I just feel blah!! I will definitely take these tips into consideration the next time I feel like that! I've never been into making a to-do list. I think I should though so I'll remember everything. :) Great tips! I hate those days when nothing goes right. I will try to take a small break and recenter myself. These are such wonderful tips. I need to go through some of these. I feel like there isn't enough time in the day sometimes to get everything done. I feel like that sometimes as well. I always make a to do list the night before or that morning and try not to put too much on it. I think on occasion an unproductive day can be a good thing if you need to take a break. However, i think we've all been there where we had every intention of being productive and for whatever reason just did nothing at all. It can be really easy to just be discouraged but the steps you mentioned are very helpful for moving forward. I used to be in the habit of concentrating on cleaning one room a day and it was going really well until I stopped getting in the habit of doing that. I am working on getting back on track. Most of my days are busy, busy, busy, but these are wonderful ideas for those less busy days. Thanks for sharing your ideas! To do lists definitely keep me on track. i long for an unproductive day. just one! with two kiddos, i don't get to sit much, but with that said, your tips will come in handy for organizing my fast-paced moments. and if i ever do have time to myself, my tv always lands on bravo lol. I feel like I'm always in need of these tips. Making lists is so helpful, but I never thought of timing myself! I definitely need to start doing that. Tackling with smaller to dos is a great stepping stone. Most of the time, it's just enough to re light my fire of motivation! 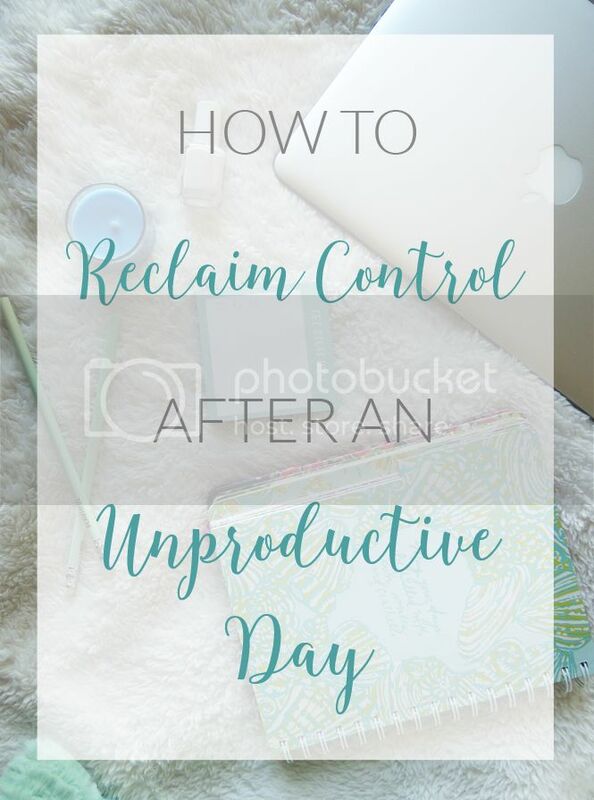 I think that having an unproductive day is a pretty common thing for a mom. I whole heartedly agree that accomplishing smaller tasks makes taking back the day a lot easier and will end on a productive note. Such a great post! So easy to just think "Well I've already been lazy today, I 'll just do more tomorrow. I have sucked down the bravo show hole more times than I can count! haha .. I totally agree completing small tasks helps me feel more productive and gets me back on track!